Steeped in history as the former Jewish ghetto, Budapest's 7th District is now the city's most happening spot. This is where to come for hipster cafés, craft beer, ruin pubs, food trucks and speakeasies. This lively scene coexists shoulder-to-shoulder with long-time residents and Budapest's Jewish community. It's an intriguing mix, to say the least! Budapest’s 7th District is the heart of hip and bohemian Budapest. It’s grittier than the pristine 5th District and gentile 1st District, and livelier than the 6th. This is where you’ll find Budapesters who are young and young at heart. Crumbling buildings stand next to freshly renovated architecture from every era. Kosher delis serve long-term customers while tourists stumble from hipster speakeasies next door. And food truck pods, craft beer bars, and ruin pubs are everywhere. If this all sounds a bit messy to you, you’re right. Since the early aughts, the 7th has steadily transformed into Budapest’s nightlife hub. While locals and tourists flock to the District for a great night out, the neighborhood struggles to cope. Trash piles up, and night noise causes long-time residents to balk at how their home has changed. In 2018, the 7th district government held a failed referendum to limit bar opening hours. Voter turnout didn’t meet the requirements, and so the party lives on. For now, the 7th still feels cool and – sorry – #authentic. When we moved to Budapest, we chose to live in the 7th. And despite the problems caused by over tourism in the warmer months, Budapest 7 is still pretty damn lovable. 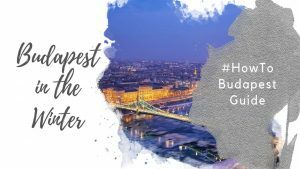 Whichever area you choose stay in Budapest, don’t leave Budapest without spending some time in the 7th. 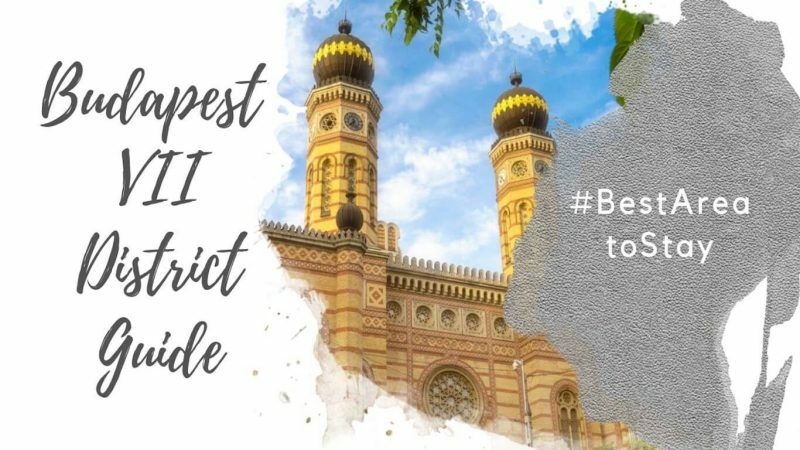 Wherever you choose to stay in Budapest, this district deserves some of your time! Where Is Budapest District 7? 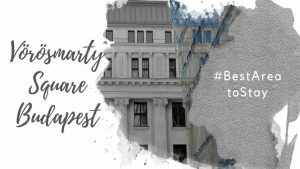 The 7th is located in central Pest, making it an ultra convenient area to stay in Budapest. The district itself is quite large. Your best bet is to stay within the inner part of the district. Book a hotel between Károly krt (Charles Boulevard) in the west and Erzsébet krt. (Elizabeth Boulevard) in the east, and between Király u. (in the north) and Rákóczi út (in the south). The 7th runs beyond Erzsébet krt. all the way to Dózsa György út. However, beyond Erzsébet krt., you get into rather sleepy residential territory. It’s also a bit grungier the further you go from the center. Often lauded as the most beautiful cafe in the world, New York Café is one of the most popular spots to visit in Budapest 7. Once you see it, you’ll be hard pressed to argue. Despite the name, New York Café is actually a restaurant. We’ve been several times for breakfast, and the food is good, but not spectacular. Really, it’s the ambience and Renaissance-style décor that sets this place apart. It truly is spectacular. They’re open daily from 09:00 to midnight. Budapest’s Great Synagogue is the second-largest Synagogue in the world, and the largest in Europe. The Synagogue belongs to Budapest’s non-Orthodox, Neolog community. It’s a modern, liberal congregation. Both the interior and the exterior of the Synagogue are beautiful. The back garden has a moving Holocaust memorial, and there is a small museum included in your ticket, as well. The Synagogue is easily the biggest tourist draw in the Seventh District, so expect to wait in line for tickets. 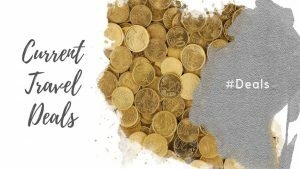 There are also a number of fantastic tours of the Jewish District, which will cover the history, the Holocaust and WWII, and other points of interest and Jewish history. Compared to the Great Synagogue, the Orthodox Synagogue on Kazinczy Street is tiny. But as they say, good things come in small packages. You won’t need a lot of time in here, but it’s worth popping in, as it’s just as beautiful as the Dohany Synagogue. The entrance fee also reflects the diminutive size: Ft1000. Continuing on the Jewish history theme, there’s a small monument to Carl Lutz on Dob Street. Lutz was a Swiss diplomat who single-handedly saved upwards of 60,000 Jews during the Holocaust. He issued Swiss safe conduct documents allowing families and children to emigrate. He also set up safe houses around the 7th district. We’ve listed some of our favorite cafes, bars, and restaurants here, but it’s not a definitive list! Budapest 7 is packed with great places. You’re sure to find some gems simply by wandering around! Dorado Café and London Coffee Society (below) are our personal favorites for grabbing coffee in the 7th District. Open for about a year now, the interior is bright, with a Scandinavian hipster vibe to it. Coffee is top notch, and there are a few baked goods if you’re feeling peckish. Staff are super friendly here too – which is a bit of a rarity in Budapest, TBH. Great for coffee, London Coffee Society also serves beer and wine and have great breakfast/brunches. Another fairly tiny space, the ground floor, loft, and a few sidewalk tables provide seating, but it’s worth confirming if there’s room for you before you place your order. For laptop workers, there is fairly good wifi, and a few electrical outlets if you get the right table. Staff are super friendly and inviting, an added bonus for great coffee. The stylish owner looks like a much younger version of Ted Danson’s character in The Good Place (and I mean that as a compliment). He is almost always in, and is very welcoming. A coffee house with a full bar, Magvető Cafe is attached to a bookshop, where they hold regular events. Full of people on laptops, this is a great spot to while away a rainy afternoon with a book or tablet, enjoying a coffee, bite to eat, or glass of beer or wine. Our favorite place to grab a quick and cheap Hungarian lunch in the centre. It’s always busy with both locals and visitors, and the food is great. It’s basically a butcher where you can choose your choice of grilled chicken, pork, beef, etc., plus a multitude of salads, pickled veggies, and starchy sides. Simply choose your meat from the case, and they’ll grill it on the spot for you. Then you can choose your sides, which range from fresh salads to french fries to pickled veggies. Staff speak English, so don’t be intimidated! A new favourite of ours. It’s a rotisserie chicken joint with probably the best potatoes! You can order breast, half or whole chicken with a selection of house made sauces. Dine in or take out, usually fills up later in the evening around 7-8pm, so if you plan to eat late, pop in and make a reservation. Staff speak English and Spanish, and Hungarian of course! Gozsdu Alley is an entertainment area in the 7th filled (mostly) with restaurants and bars. On weekends, it holds a market (Saturdays and Sundays) with antiques and artist-made crafts, jewellery and accessories, and home decorations. Note, this area is pretty touristy, and prices reflect this. 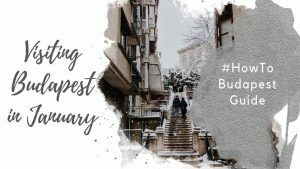 The main part of the alley runs from Király u. to Dob u., but if you think of it like an upside down capital ’T,’ you’ll also find places worth discovering on the road running up to Holló u., and even further to Kazinczy u.. Going in the other direction (towards the river), you reach My Little Melbourne cafe. Sitting right next to Szimpla (see drinking, below), Karavan is a food truck pod in an outdoor parking lot. Not exactly offering the healthiest of choices (but there is one quite popular vegan truck), most of the stalls serve up burgers, pizza and pasta, Hungarian lángos, and sausages. There are plenty of picnic tables to eat, and drinks on offer as well. Good for a quick lunch or dinner, or for hanging out for an entire evening over beers in nice weather. A barber shop AND cocktail bar with a speakeasy feel, this place is easy to miss: it’s in the basement of the building, and easy enough to walk right past. Inside, it’s got a retro feel and great cocktails, and the bartenders are always happy to help you find something you like. Szimpla is Budapest’s most famous Ruin Pub, a uniquely Budapest trend to create bars out of (or in between) ruined buildings. Back when ruin pubs started, Budapest (and the 7th district, in particular) had a lot of derelict old buildings that weren’t being used for anything. So some creative entrepreneurs grabbed any old furniture and decor they could find, got the city to check the buildings for safety, and started transforming these abandoned buildings into pubs and nightclubs. The ruin pubs survive to this day, and are popular with locals and visitors alike. If you want to experience a ruin pub without a nightclub vibe, go early in the day or on a Sunday morning, when Szimpla hosts a farmers’ market from 09:00 to 14:00. This is a fun option for a DIY lunch, cobbled together from all the different foods for sale! Attached to a restaurant of the same name (Kert means garden in Hungarian, and refers to a garden/terrace restaurant or bar) Kőleves Kert is a nice option for a beer, a rosé fröccs (wine spritzer- the drink of summer in Budapest), or a lemonade. A gravel parking lot turned into an outdoor bar, the place is filled with brightly colored furniture and a few hammocks, for those who want some next-level relaxation. Closed in winter – although the restaurant of the same name remains open! Not to be confused with Fekete cafe (fekete means black in Hungarian), Fekete Kutya is a cozy pub in the 7th. With only a few seats and tables inside, customers inevitably spill from the indoors when the weather is nice, taking over the outdoor covered passageway just outside its front doors. They have Czech beers and craft beers on tap. The best part about the 7th is its lively vibe. Add to that a wide selection of restaurants and bars, and ultra-convenient location. 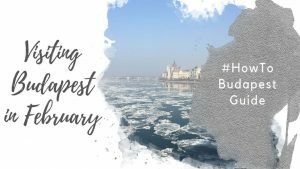 It’s easy to understand why this is one of the best areas to stay in Budapest! Depending on the type of trip you’re after, the liveliness and party vibe of this neighborhood could also turn out to be the worst part of the 7th. 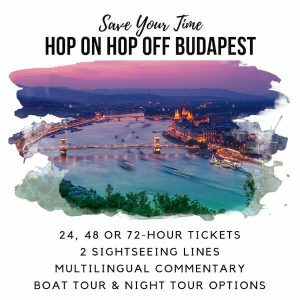 Budapest 7 is a favorite of bachelor and bachelorette parties (stag-dos and hen parties). Hungarians and tourists ready to enjoy a night out also gravitate to the 7th. 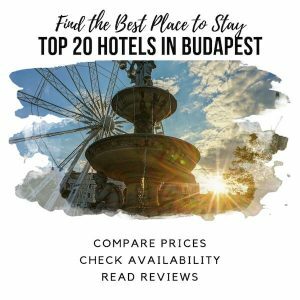 If you come to Budapest 7 looking for a fun, lively and central location, you’ll probably enjoy your stay. If you stay in this area looking for a tranquil and calm oasis in the city, you’ll probably be disappointed. Despite the prevalence of crowds and people having a good (sometimes drunken) time, the 7th is very safe. While pickpocketing and purse snatching isn’t unheard of, we feel quite safe walking around this part of Budapest at night. In addition to being super central, staying in the 7th means you’ll have easy access to plenty of public transport options. Trams #4 and #6 run along north-south along Erzsébet krt., and go all night. Trams #47, #48, and #49 also allow easy access to the 7th.Metro stops Blaha Lujza tér (M2 – Red), Oktogon (M1), Astoria (M2), and Deák Ferenc tér (M1, M2, & M3) are also within walking distance from anywhere in the 7th district. Distances listed are from Dohany Street Great Synagogue to other major attractions in Budapest. Times are approximate, and transit times depend on traffic. 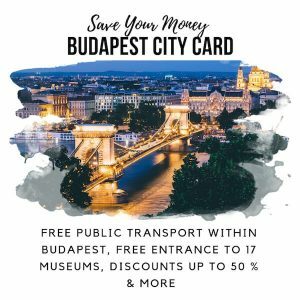 Buda Castle, Fisherman’s Bastion, Sandor Palace, and Matthias Church: 22 minutes via Bus 16 from Deak Ferenc Square. You can also take the Castle Funicular from the base of Castle Hill at Clark Adam Ter.